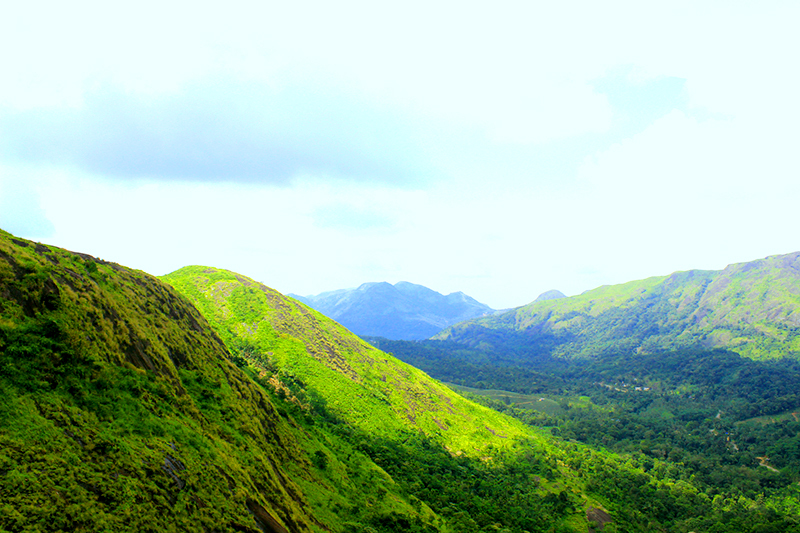 Calvary mount near idukki dam in idukki district of kerala. Sabarimala is a Hindu pilgrimage centre located at the Periyar Tiger Reserve in the Western Ghat mountain ranges of Pathanamthitta District, Perunad grama panchayat in Kerala. It is one of the largest annual pilgrimages in the world, with an estimated 50 million devotees visiting every year Sabarimala is believed to be the place where the Hindu God, Ayyappan, meditated after killing the powerful demoness, Mahishi. Ayyappan's temple is situated amidst 18 hills. The temple is situated on a hilltop at an altitude of 468 m (1,535 ft) above mean sea level, and is surrounded by mountains and dense forests. The dense forest, (Periyar Tiger Reserve), around the temple is known as Poomkavanam. Temples exist in each of the hills surrounding Sabarimala.